Hot pockets! Raise your hand if that woman’s voice just popped in your head. Me too! My favorite crispy and delicious childhood snacks got a healthy and comfort-food makeover here. And just in time for the holidays. How awesome is that? Now, this recipe may require some work, but never fear, the final result is well worth the effort. Once you see your family over-joyed with the cheesy, and flavorful spices that take over this appetizer, you’re going to wonder where this has been your whole life. That’s exactly how I felt when my family tried this recipe and it was just yum. 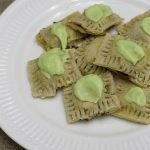 The avocado crema also serves as a nice balance and gives the dish a little kick that you might just want in your holiday meals. You know what else you might want in your holiday meals? A little charity. There’s an ingredient I added that gives back to charity. And that takes giving back to another level. Here’s more information on that ingredient. How Namaste Gives Back: Every month one Namaste employee gets to choose a charity that the company will dedicate themselves to giving back to. Some of the organizations that they’ve helped in the past include Equality Now, Community Action Partnership, UNICEF Tap Project, and many more. Read more about how Namaste gives back. Always feels good to support companies that give back. So go ‘head. Enjoy! Cook cauliflower rice and ground turkey or beef and set to the side. Open can of black beans and remove liquid. Add light sea salt, black pepper and cumin to black beans in a bowl and mash lightly. Set to the site. Roll out pie crust using rolling pin and cut into ~2″ x 3″ pieces. Fill with about 1/2 tsp to 1/4 tsp of cooked cauliflower rice, black beans, cheese, and ground turkey or beef, if adding meat. Top with another piece of the crust. Close top and bottom with fork. Add egg wash on top to get a brown color. 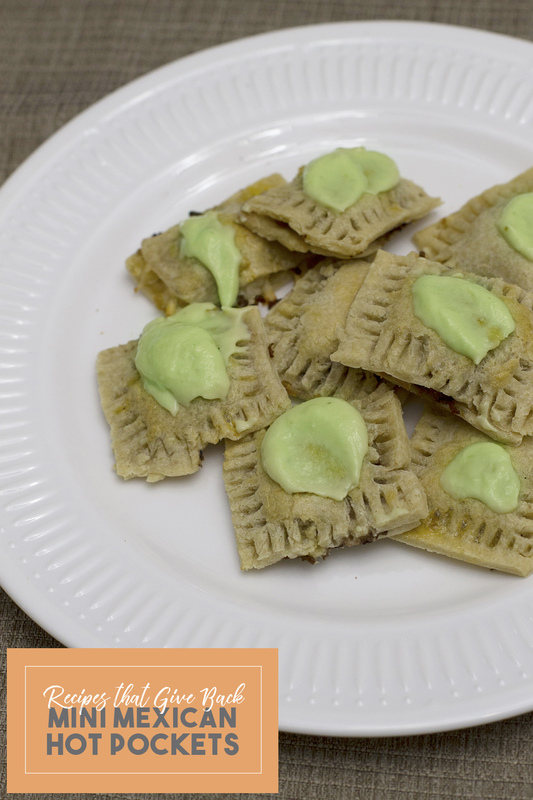 While baking, make the avocado crema. The gluten-free crust may not brown nicely. Just a fair warning.